Plans for the smaller 00 Scale began as early as 1933 (although it originally began in 1912) with the miniature “Liliputbahn” set that was sold for dealer display only. The rising prices of raw materials and the consumer demand for a smaller layout system greatly slowed the production of O Gauge to make way for the new Spur 00 (Ho Gauge — referred to as half-O). The reversing system for the new locomotives of the 00 Scale was the “700” system which included a hand-lever in the rear of the locomotive for changing direction. Remote reversing was possible through “Fernumschalter” U 700 (for locomotive) and either the 494 or 496 reversing box. The addition to a “U” to the end of the model number (i.e. RSU 700) indicates that the locomotive was sold with the reversing unit installed. In the initial release of the 00 Scale, there were only two locomotives, the RS 700 and the R 700. The former an electric locomotive capable of overhead operation and the latter a small 0-4-0 steam locomotive. 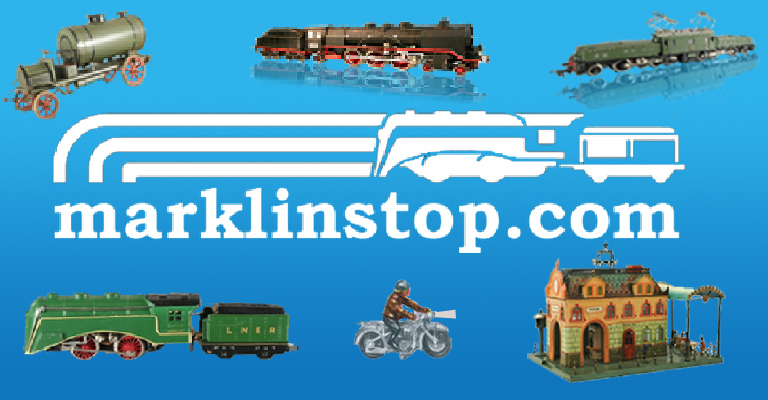 The range of Marklin HO Gauge Miniature Table Railways which met with a great reception everywhere during their first year, has been extended by the introduction of new locomotives, coaches, and accessories. The articles produced last year as a foundation for these new trains have proved so popular that no changes have been made. The Gauge is 16.5 mm., the circle of track sonsists of 12 sections and has a diameter of 29.5 inches. This makes it possible to construct an extensive model railway in a very confined space. The rail sections and points with their new type coupling have a stamped base japanned in natural colours, the running plates are constructed of solid section material and perfectly insulated. 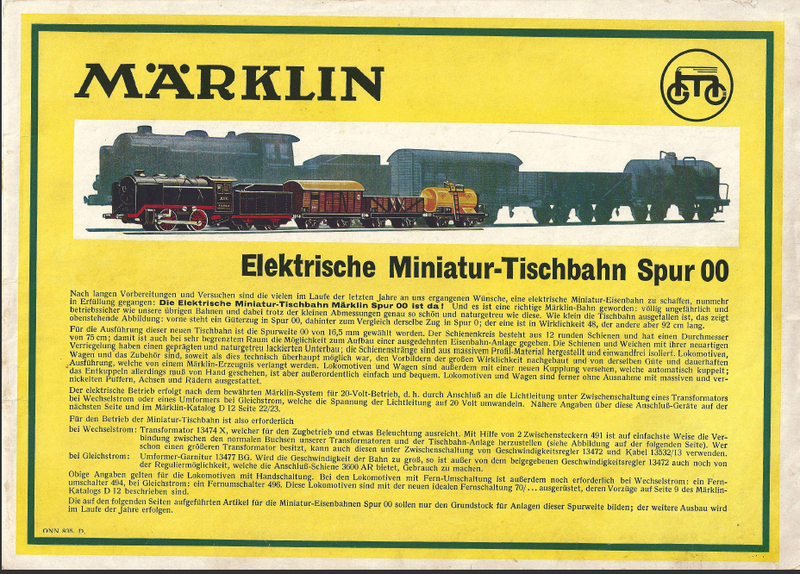 Locomotives, carriages and accessories are mad, as far as technically possible, exact reproductions of their originals, and are of the fine, strong construction which is expected of Marklin productions. Locomotives and carriages are also fitted with a new coupling, which couples automatically, uncoupling must however be done by hand, but it is unusually simply and convenient. Locomotives and carriages are further, without exception, fitted with solid nickelled buffers, axles and wheels. Clearly. the introduction of the Marklin Spur 00 system was a huge success and the addition of new products and the inclusion of old ones shows this success. The room for improvement, however, is ever-present: in the end of the paragraph, Marklin notes that uncoupling must be done by hand. In later years, a newer “Kupplung design” which allowed for remote uncoupling of two cars at a time. But for now, the Marklin system would rely on the claw-coupler design until the year 1939. The new additions of 1937 would be further improved with new innovations in 1938, but kept relatively the same for years to come. Added locomotives include British version locomotives R 700 LMS and R 700 LNER, steam HR 700, and an electric 2-6-2 HS 700. 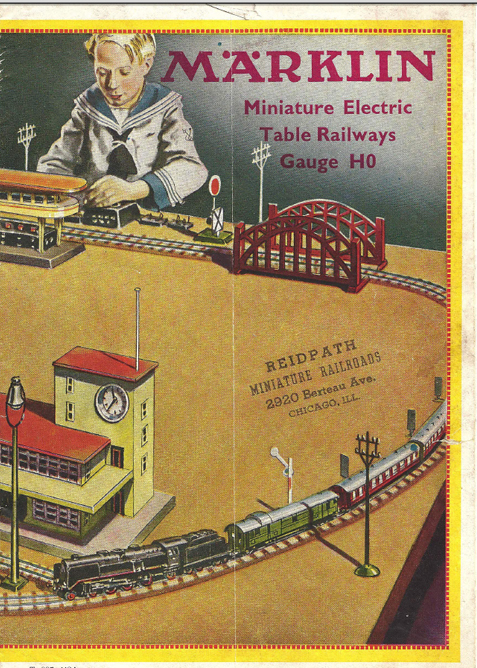 1937 also marked the first year of the release of 00 Scale export-models for several foreign markets including the American market and the British market. The American market received two locomotives (R 700 & HR 700) which were affixed with cowcatchers and sold under number R 700 A & HR 700 A. The British market locomotives were German outline locomotives repainted in British LMS and LNER liveries. It wasn’t until 1938 that the British market received it’s own strictly British locomotive, the E 800 LMS which was produced in very limited quantities. The years 1935 – 1937 were crucial to the development and establishment of 00 Scale Marklin. 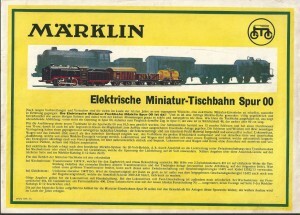 Despite relatively few technological innovations (which did not start until 1938), Marklin successfully developed the 00 scale and made it a part of its train family. 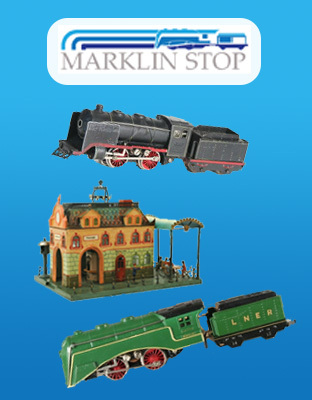 The importance of the 00 Scale for Marklin continues even to day as it is Marklin’s most profitable and extensive product line (although it is now termed HO scale). Hi, thanks for the article. I had always thought that Ho(half O) was a European gauge and that OO was a British only invention. Both run at 16.5mm but actual size of the stock is different. OO is a little bigger. 3.5mm/foot or 4/mm/foot.